AddIn365 and customer Wavemaker were invited on to Microsoft’s Future Work Studio to discuss how Wavemaker have successfully undertaken their business transformation programme. Wavemaker’s digital transformation programme has been executed on Office 365 and uses AddIn365’s products and services to generate employee adoption of new workplace tools like Microsoft Teams, OneDrive and SharePoint. 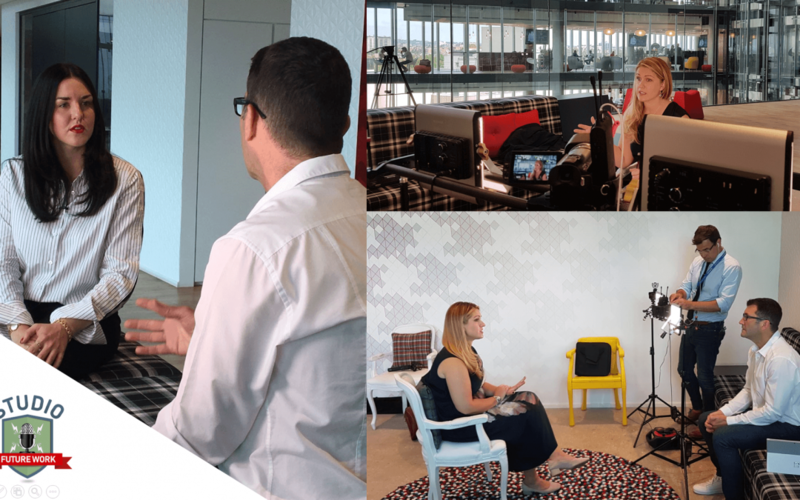 Wavemakers Lead for Business Transformation, Anastasia Donchenko, was interviewed alongside AddIn365 CEO, Suzy Dean. Microsoft’s Future Work Studio is a YouTube series covering new and interesting trends at work and how things like technology, culture and physical workplace shape our daily lives. Microsoft’s Rasmus Almqvist and Stephen Danelutti – the show’s producers – in their own work lives specialise in helping organisations to implement and adopt Microsoft technologies for specific business outcomes. Wavemaker and AddIn365 were selected to feature because of the sizable and measured success the Wavemaker business transformation programme has had on how Wavemaker employees collaborate. The Wavemaker project success metrics can be viewed here. Wavemaker’s business transformation programme was initiated because in June 2017 GroupM announced that two of its leading global networks, MEC and Maxus, would merge to form a brand new media, content and technology agency – Wavemaker. Wavemaker needed to support one, single, new way of working for employees and chose to do this on Office 365. Wavemaker wanted to enable secure, anytime, anywhere access to the digital workplace and facilitated this transformation, called New Ways of Working, using AddIn365’s Work Hub suite of products and on-boarding method. AddIn365’s product suite and method support adoption of Microsoft Teams, OneDrive and SharePoint. See AddIn365 and Wavemaker present at Microsoft’s Ignite conference here.